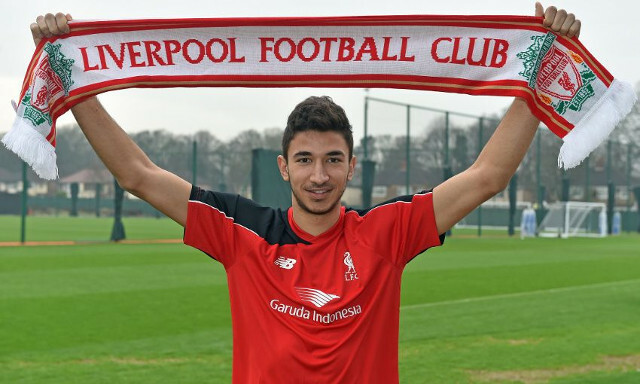 Marko Grujic won’t be short of offers when he goes in search of a loan move during the January transfer window. The Serbian looks set to depart on a temporary deal in the new year, with the midfielder keen on gaining regular first team football. Grujic has predominantly plied his trade in Neil Critchley’s U23s so far this season, managing just one start and five cameo appearances for the senior team. The 21-year-old is being lined up by Brighton and Aston Villa, with the pair marking two of many Premier League and Championship clubs keen on the former Red Star Belgrade man, according to the Liverpool Echo’s James Pearce. Liverpool’s desire to fend off interest from abroad in aid of keeping Grujic in England recognises the club’s intentions to mould the starlet into a long-term option. It also serves as testament to the faith the Reds have that he possesses the physical and technical attributes to set him up for a career in England’s top flight. Having arrived with a glowing reputation in January 2016, Grujic has since progressed tentatively, teasing glimpses of his box-to-box power and creativity but struggling to make a clinical attack on a starting place under Jurgen Klopp. A move to Chris Hughton’s Brighton is sure to be an attractive prospect in terms of the opportunity for Grujic to assert himself in a newly-promoted side including players adapting to the Premier League just as he is.